Catherine graduated from The University of Melbourne with a Bachelor of Physiotherapy. During Catherine's physiotherapy training she had student placements at the Australian Ballet Company and with Melbourne Symphony Orchestra. Since then she has completed her Masters in Sports Physiotherapy at LaTrobe University and gained an APA title of Sports and Exercise Physiotherapist. Catherine is currently completing her Masters in Musculoskeletal Physiotherapy. She is also the chair of the Sports and Exercise Physiotherapy Association Victorian Branch committee. 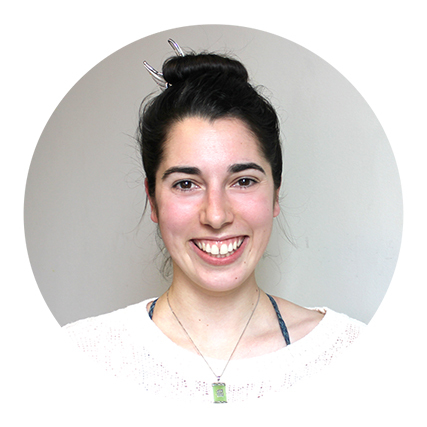 Catherine has a special interest in dance, performance, vocal, TMJ, musculoskeletal and sports physiotherapy. Catherine's interest in these areas has developed from her vast personal experience in dance of many styles, musical theatre performance, backstage and crew work, singing and playing the piano and guitar. Catherine works at Performance Medicine, playing an important role in managing the physiotherapy and physical health of the performers of professional production companies during their Melbourne seasons and of Melbourne full time dance schools. Having a passion for educating others, Catherine has been involved with education sessions for full time courses in dance and other disciplines of the performing arts. She has recently been a presenter at the 2015 DanScience conference and presented a poster at the Laryngology Society of Australia Conference in 2018. Catherine has had extensive Vocal Unloading (vocal physiotherapy) training and has experience treating and managing Muscle Tension Dysphonia, throat pain syndromes and the performance voice. She has a special interest in the TMJ (jaw) and has extensive experience in treating and managing TMJ pain and asymmetry especially for singers and professional voice users. Catherine enjoys spending her spare time with her family and friends, taking dance, yoga and Pilates classes, cooking, and playing various musical instruments.